Bank of America Merrill Lynch is consolidating its payments infrastructure by investing in software to integrate common processes in the bank. 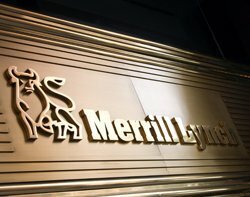 Bank of America rescued investment bank Merrill Lynch from potential collapse last year as Lehman Brothers went bankrupt. As a result it had multiple systems completing payments. The service orientated architecture based Global PAYplus software from Fundtech will be the foundation of future online banking at the bank. The service will be available next year. It will support the integration of these processes and give the bank the flexibility it requires to adapt its payment processes in the future. "This payments services hub is a critical component in transforming the payment capabilities at Bank of America Merrill Lynch. We will be able to drive integration among common payments processes, react more swiftly to evolving standards and regulatory changes, and leverage our payments capabilities to gain efficiencies for both clients and the bank," said Cindy Murray, e-Commerce executive in global corporate banking at Bank of America Merrill Lynch at the bank. The software will improve online services with customers able to monitor payments online. The system will also automatically process the payments in the most appropriate way depending on cost and urgency.